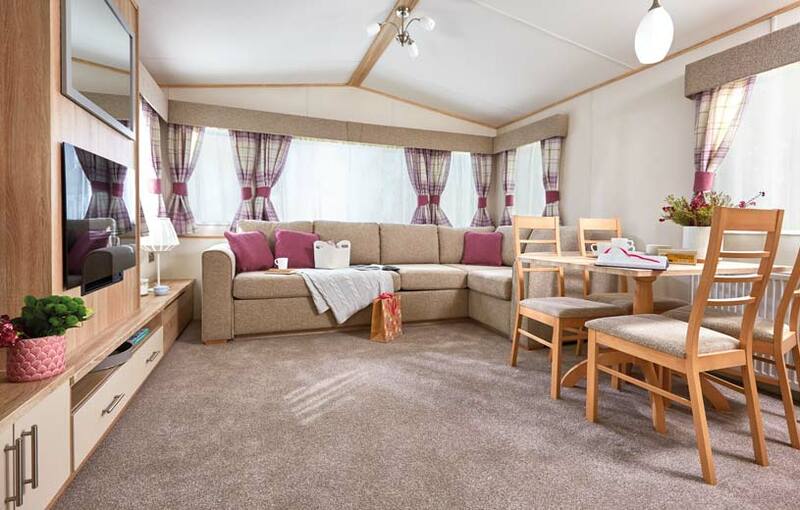 The caravan is a spacious 38ft x 12ft and is fully double glazed and has central heating with radiators in each room. 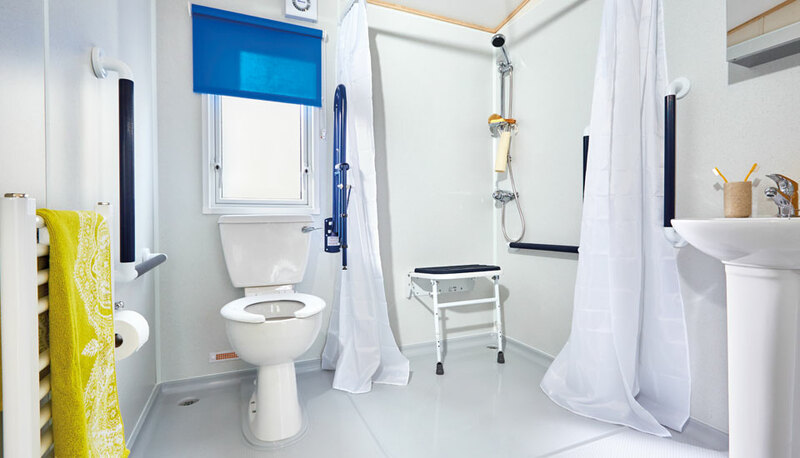 It has been specifically designed with wheelchair users in mind. An access ramp allows easy and safe access into a safe and unobstructed space which allows freedom of movement and maximum comfort. Doors and aisles have been widened to allow wheelchairs to pass with ease. A selection of games, CDs and books are provided for your entertainment. Electricity and gas are included in the hire charge. Tea and Coffee awaits your arrival. If you have other requirements that are not listed then please let us know and we will endeavor to help. Prices vary depending on booking dates. 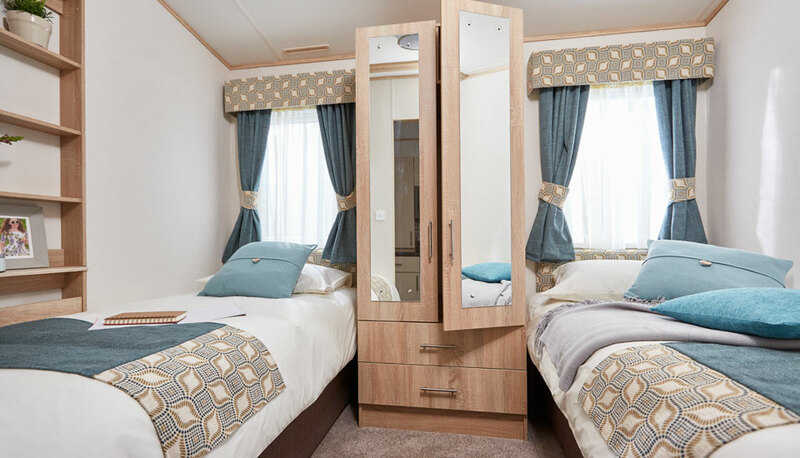 Bookings can be reserved by paying a £50.00 deposit which is non-refundable and the balance has to be paid no later than four weeks prior to your arrival. 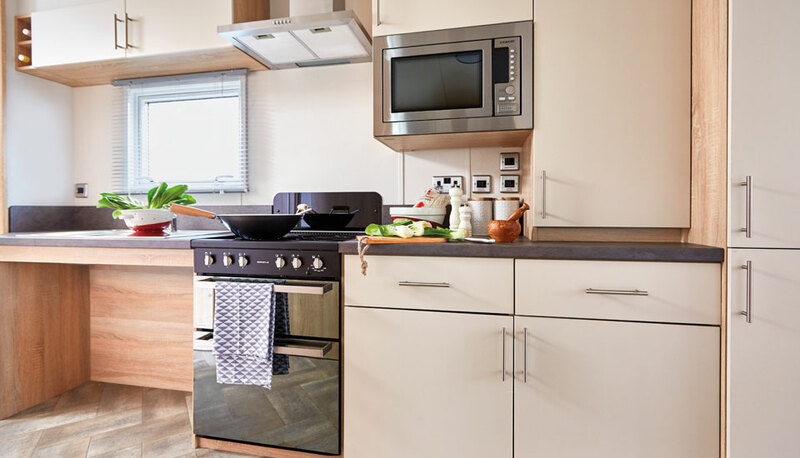 There is also a bond of £50.00 payable which is returnable after inspection providing that there has been no damage or breakages during your stay. Please contact 01642 805050 / 07970787799 or enq@activemobility.co.uk for further information. We stayed at this caravan last summer and we have just booked it again for this year. 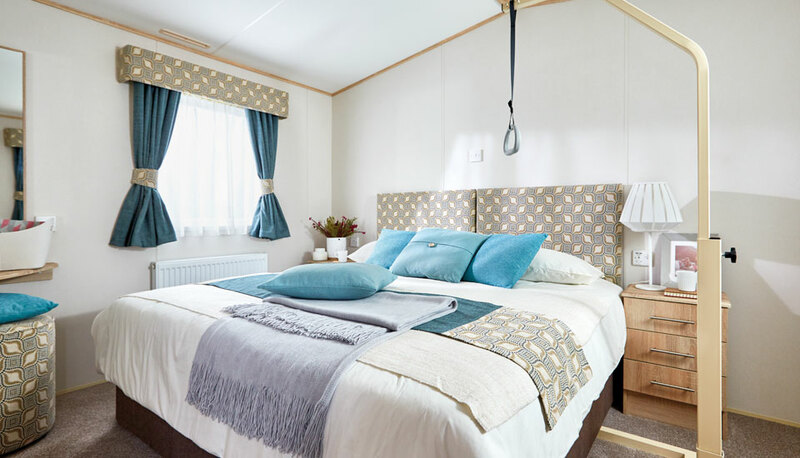 Lovely clean caravan and in a lovely peaceful woodland setting. The site has a nice little clubhouse for night time entertainment and food , and there is a handy little shop too. Set in a lovely part of the country, with plenty to do for the kids too . I would definitely recommend booking this to anyone needing a wheelchair accessible break. 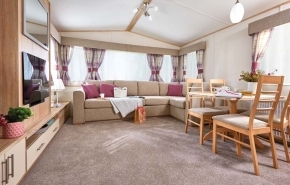 I was recommended booking this caravan from a friend, we booked it for last year and have booked again for this year . Brilliant place with lots to do for the kids and really nice caravan to fit all our needs. 5 star, highly recommend. Excellent place to stay, lovely caravan and very clean, and very good amenities and plenty to do for the children . I have just booked this caravan again for this summer. A really lovely caravan which is easily accessible for my wife\'s wheelchair with everything you need in it. Its in a beautiful part of the caravan park, nice and tranquil. Really easy book and nothing is too much trouble. Highly recommend.